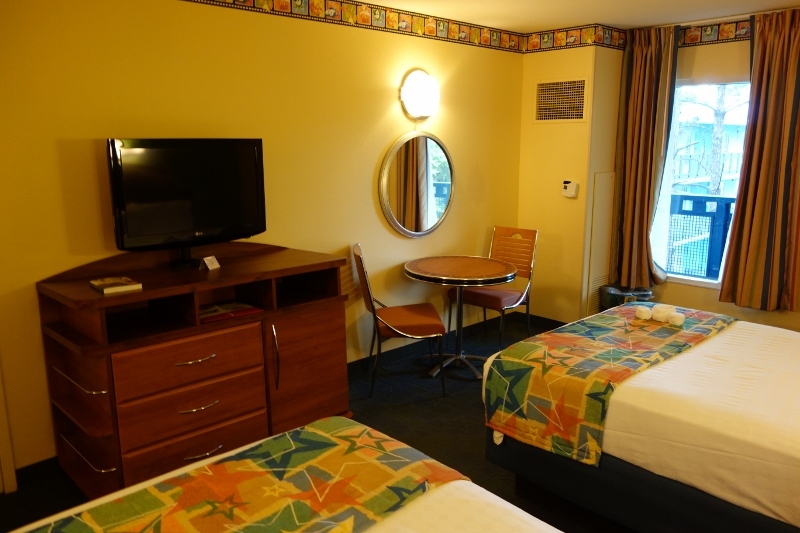 Note: Rooms at All-Star Movies are being refurbed. 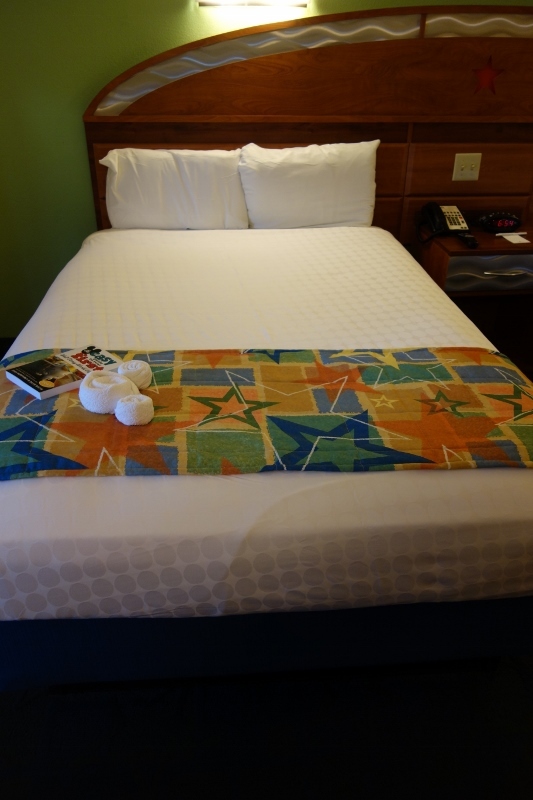 What follows describes a not-yet-refurbed rooms. 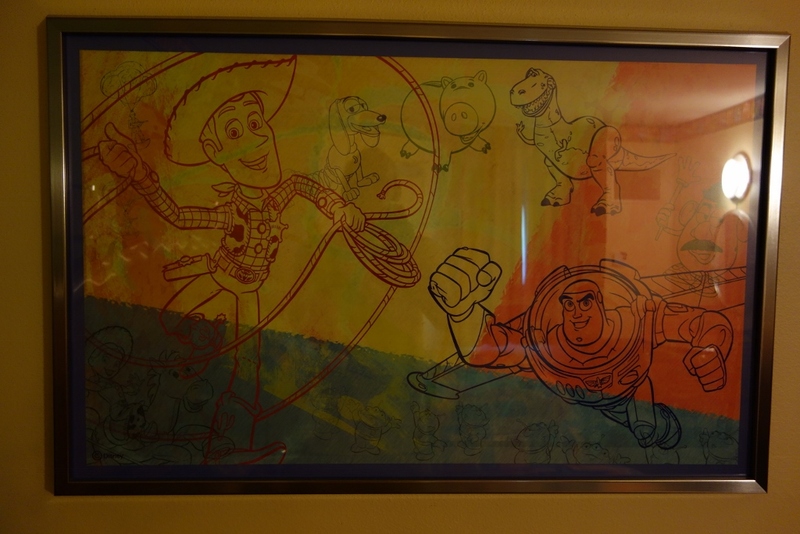 For a photo tour of a refurbed room, see this. 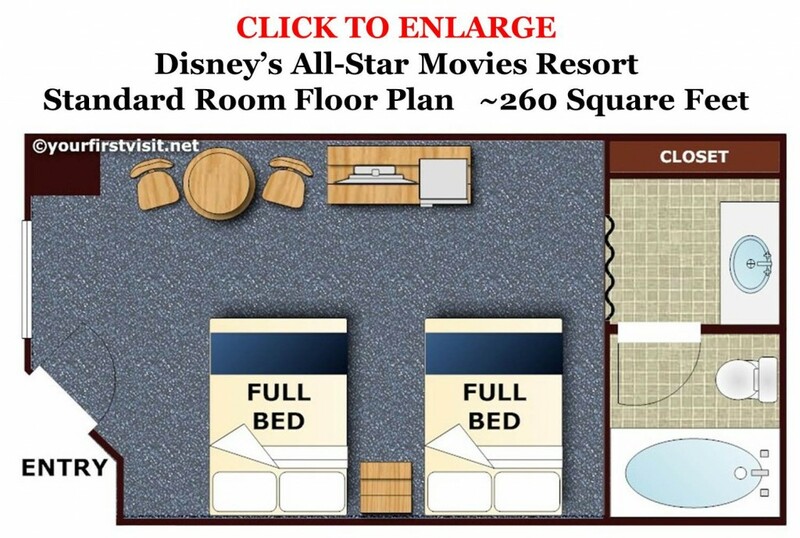 Rooms at Disney’s All-Star Movies Resort have the same basic floor plan as you’ll find in the other two All-Star resorts. 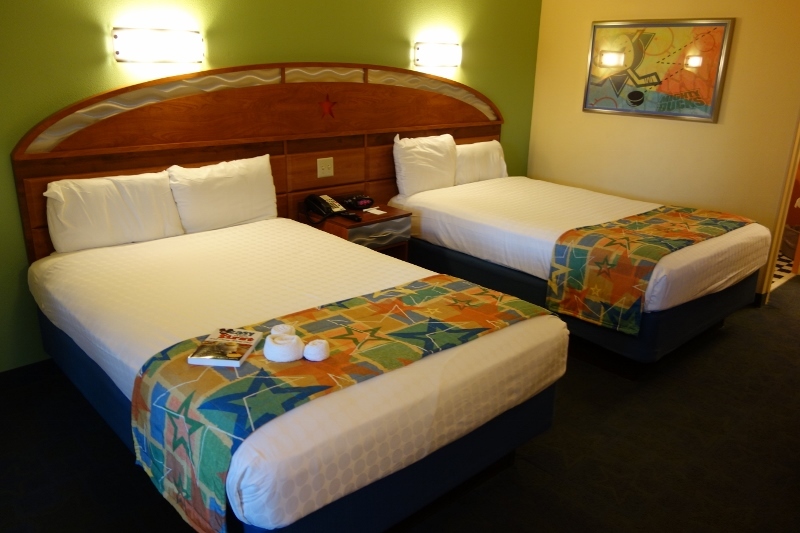 When you enter, you’ll find two full beds on one side. 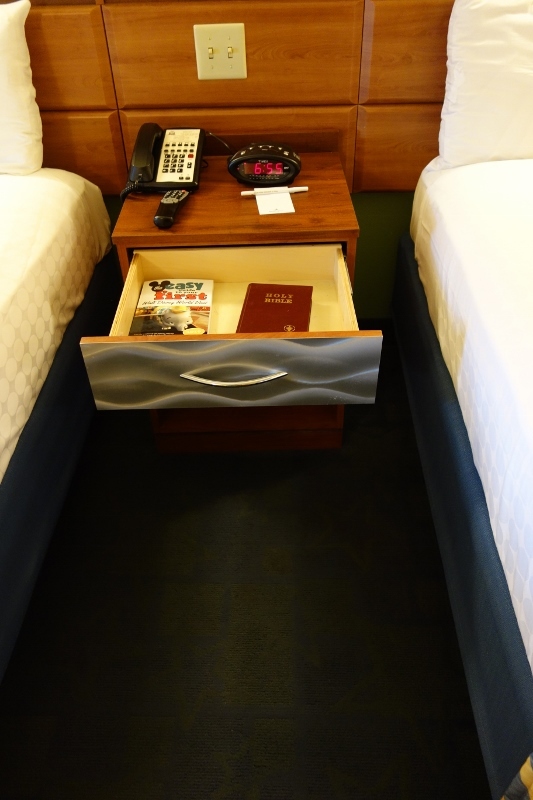 There’s a small table between the beds, with room enough only for the most essential of books. 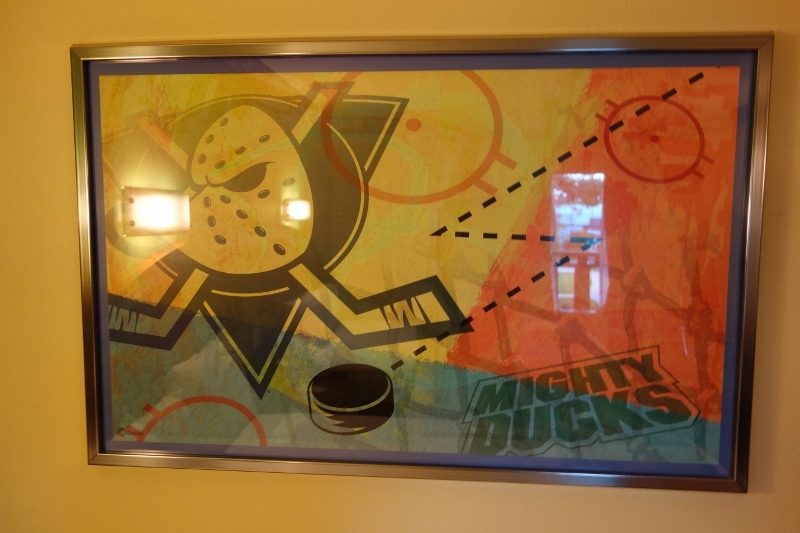 …and this from a Mighty Ducks room. 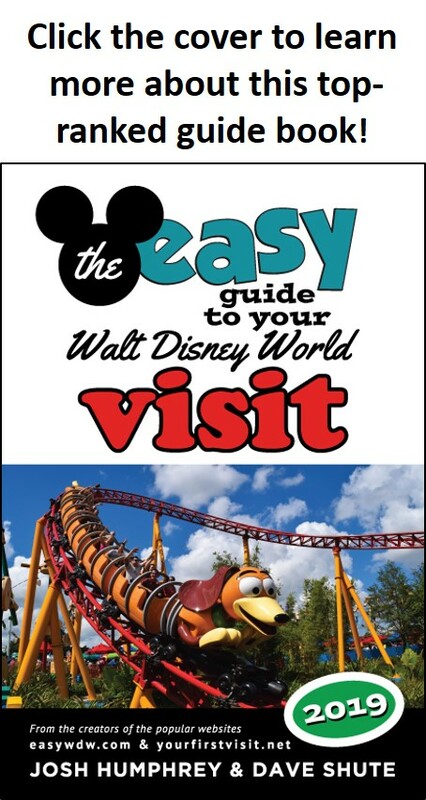 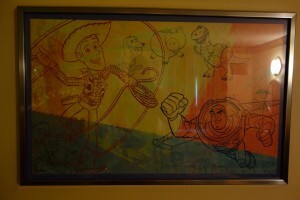 This art is the only ways the standard rooms differ among the themed areas. 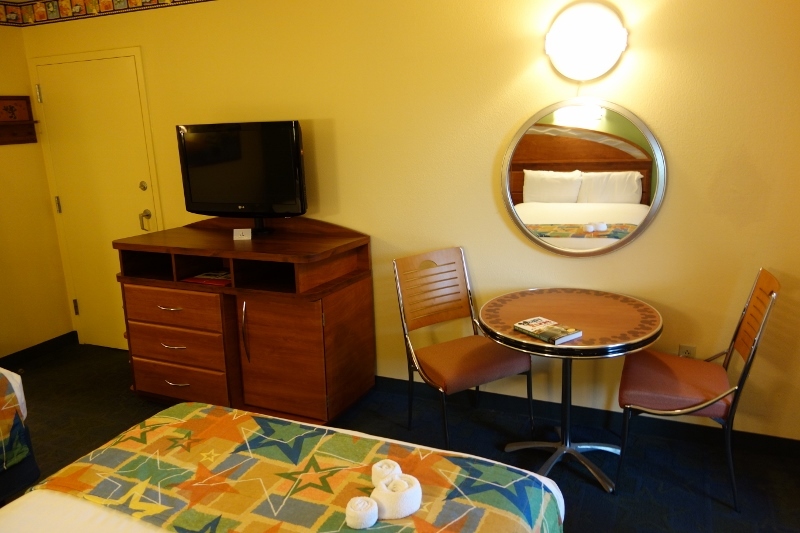 The other side of the room has a table and chairs, and a dresser/mini-fridge/TV combo. 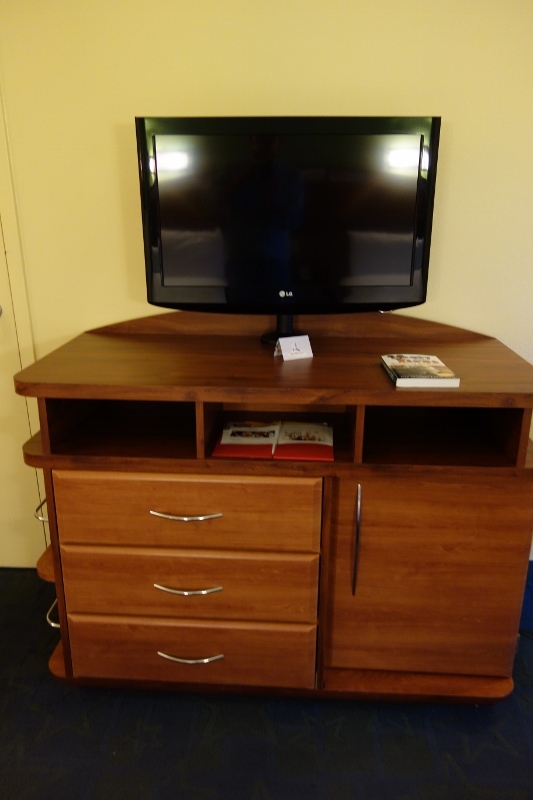 The TV side from the back. 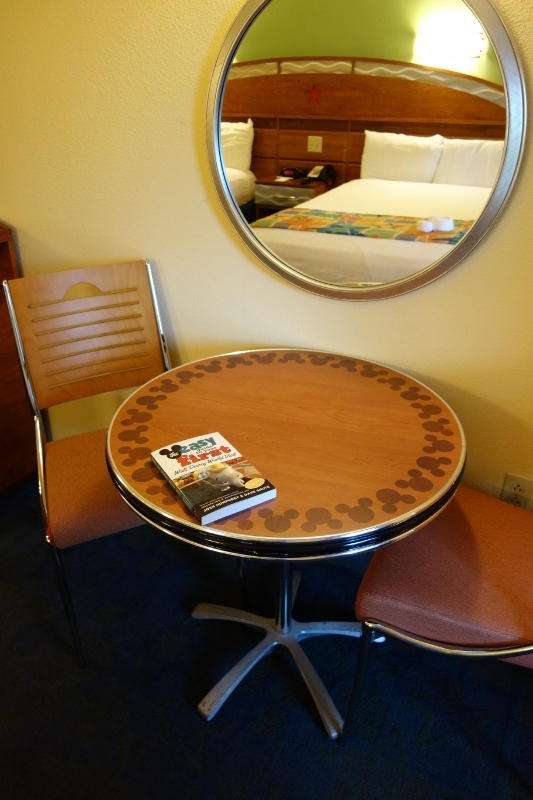 Some value resort rooms have square tables, some round. 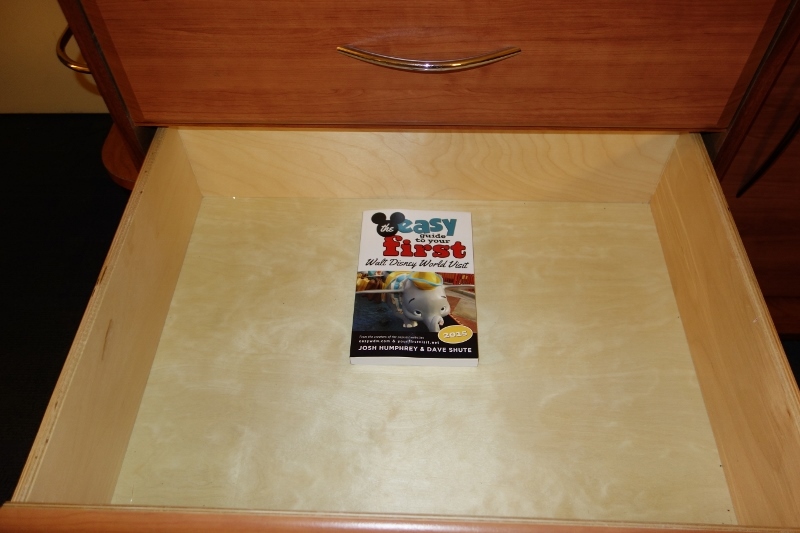 I don’t know why…must be magic, I guess. 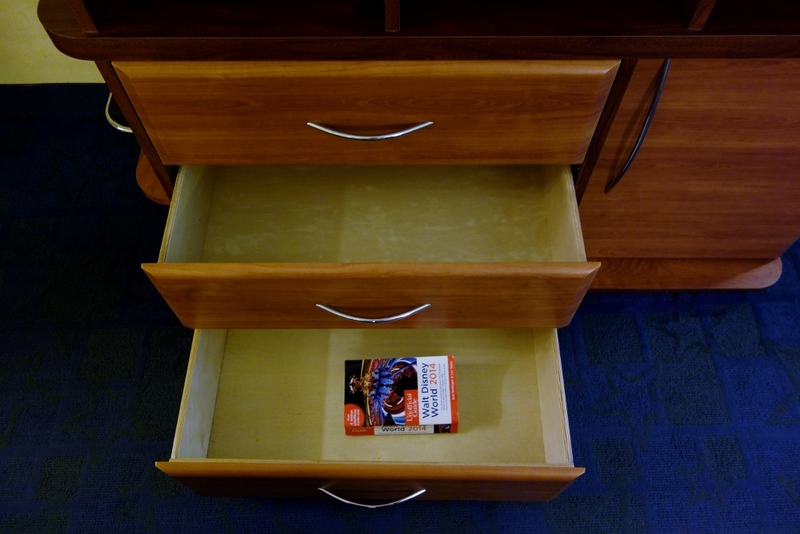 …and one of its three large drawers. 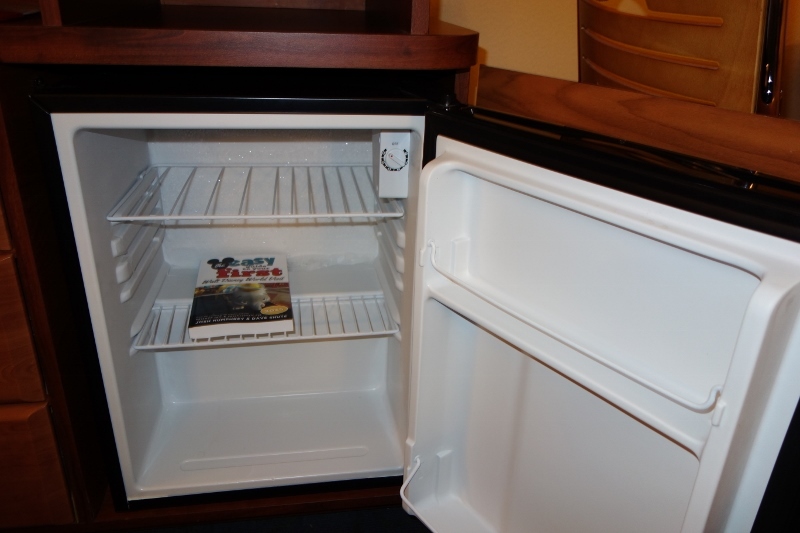 Here’s the mini-fridge with a scaling object. 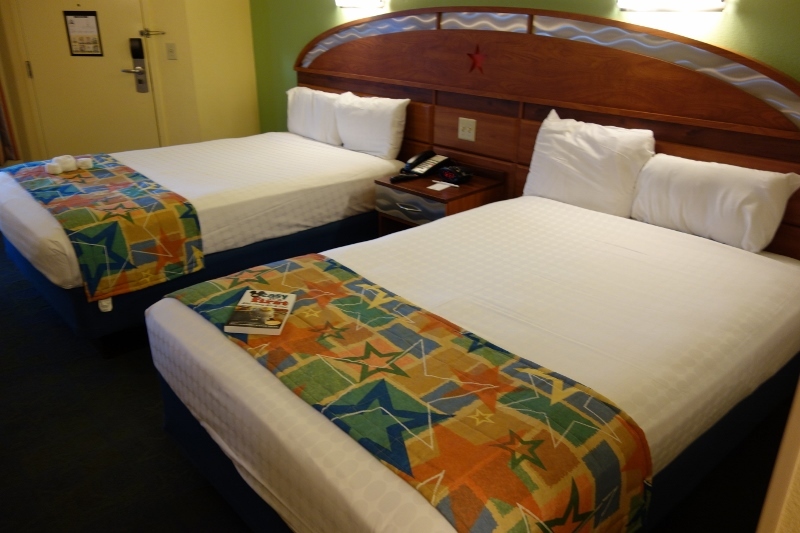 Except for Art of Animation, there’s not a lot of visual difference among the rooms in the value resorts. 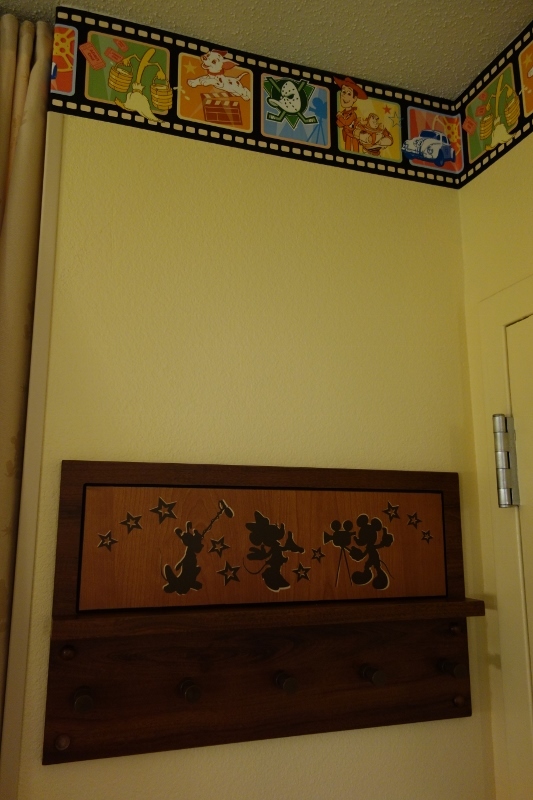 At All-Star Movies, besides the wall art shown above, there’s also a wallpaper border re-capping the movies highlighted at the resort. 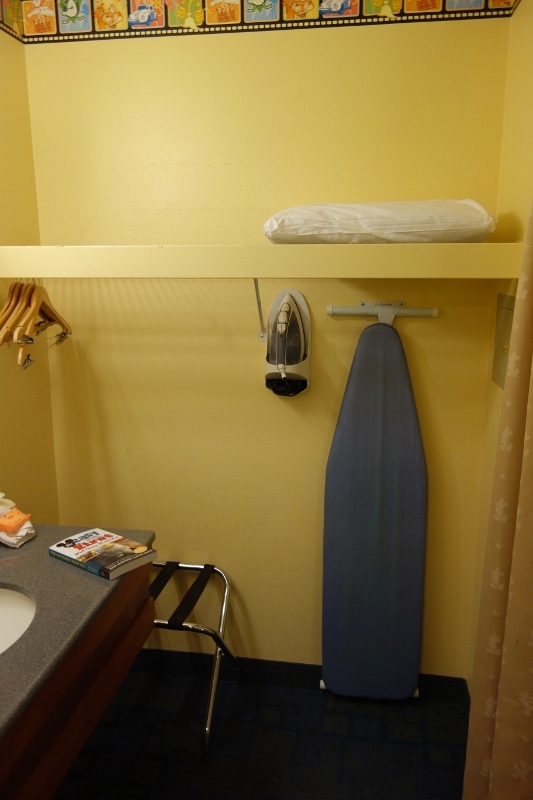 Note also the coat-rack below it. 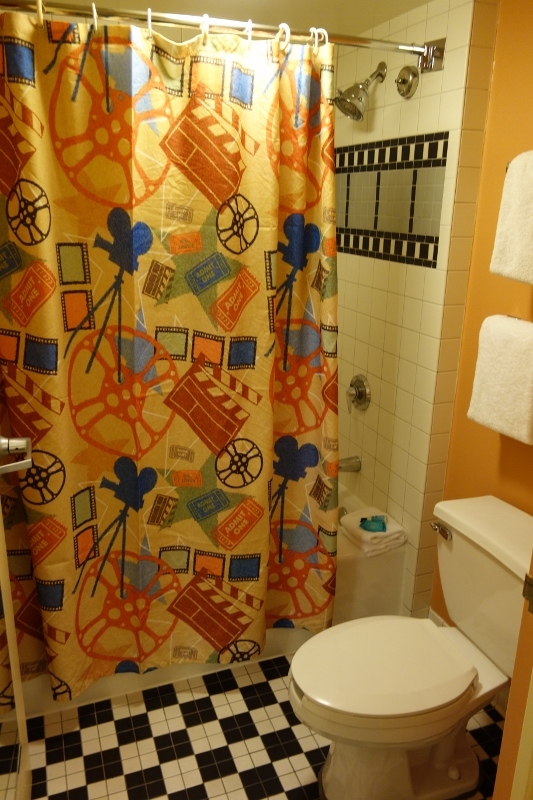 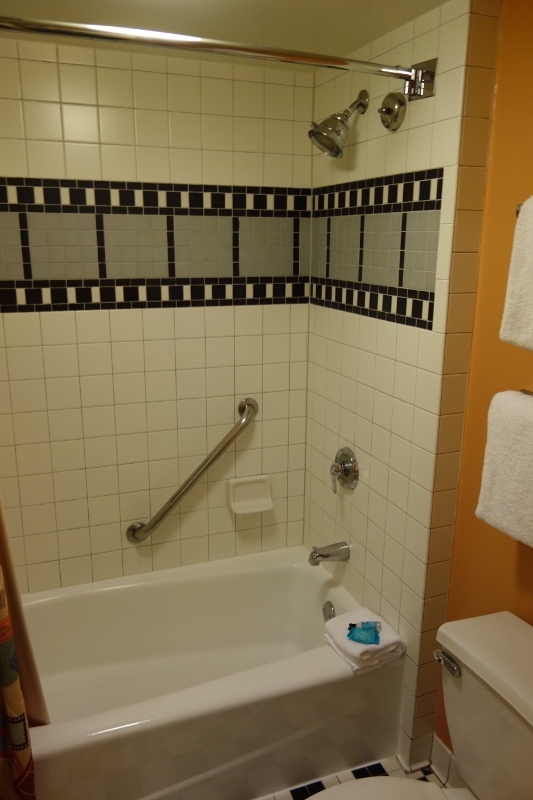 …although the space is more fun with the shower curtain closed than open. 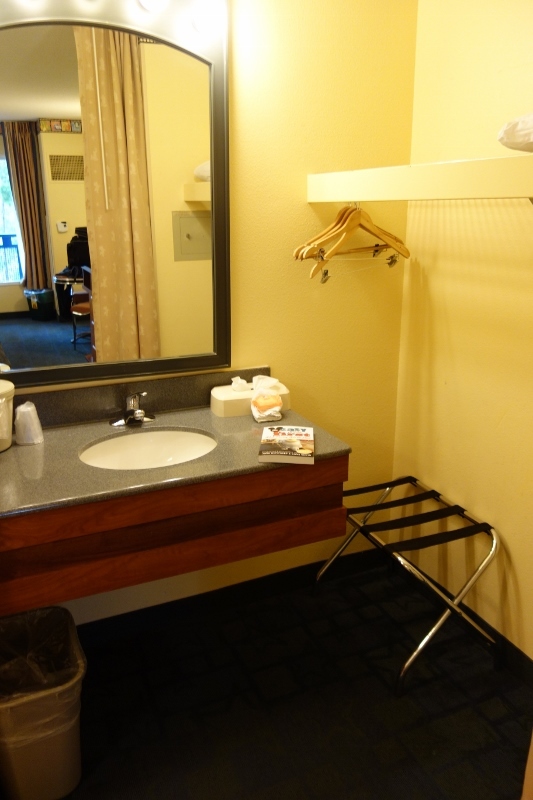 …and an open closet area. 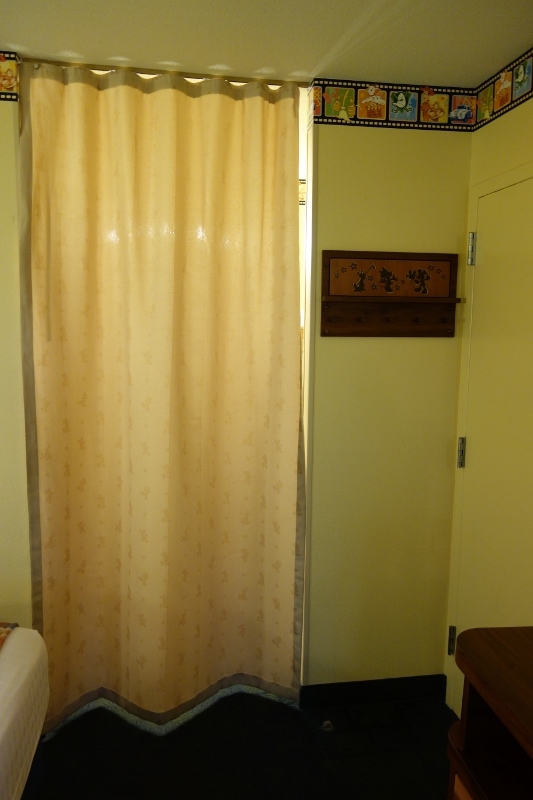 The sink-closet area is separable from the rest of the room by a fabric curtain.